I have been very spoiled lately and my husband has been looking after the laundry while he has been in school, now that I have taken over doing again I like to mix the scents I use to make my laundry smell so so so good. Thanks to Downy I have a new love in my life. Sh! Don't tell my husband. 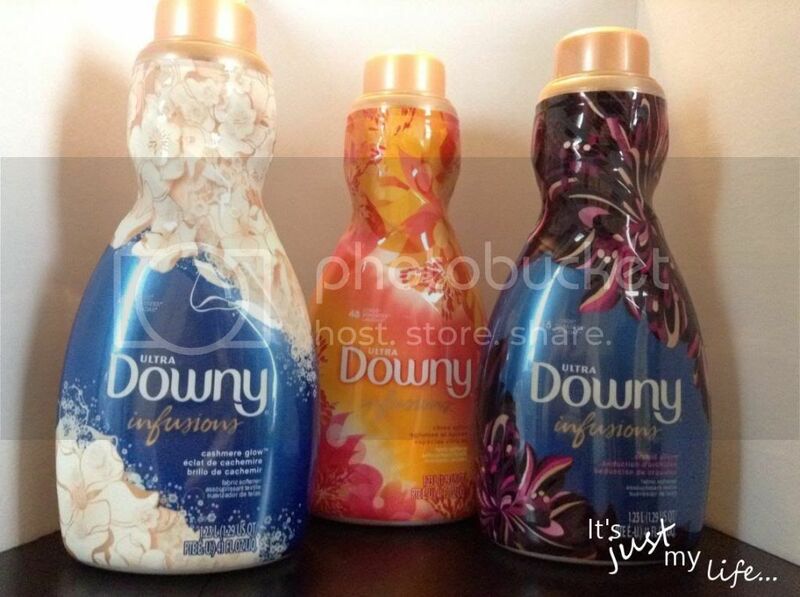 I love new Downy Unstopables and new Downy Infusions for all my laundry needs. It makes my clothes smell so good! 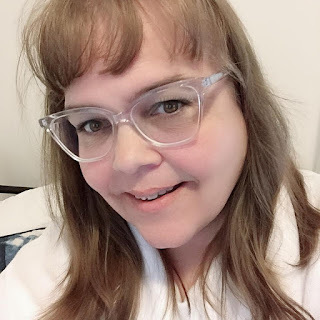 It is so hard to decide what scents to combine so head over to Amy the fortune smeller to choose your scents and Amy will reveal your scent personality. Amy was pretty much dead on with my scent personality. Downy Infusions Orchid Allure -Layers of exotic flowers and rich musk combine for sweet, mysterious scent. Downy Infusions Cashmere Glow -Cashmere soft layered with warm and sweet for an elegant floral scent. Downy Infusions Citrus Spice -A zesty twist of citrus layered with a warm spice blend. 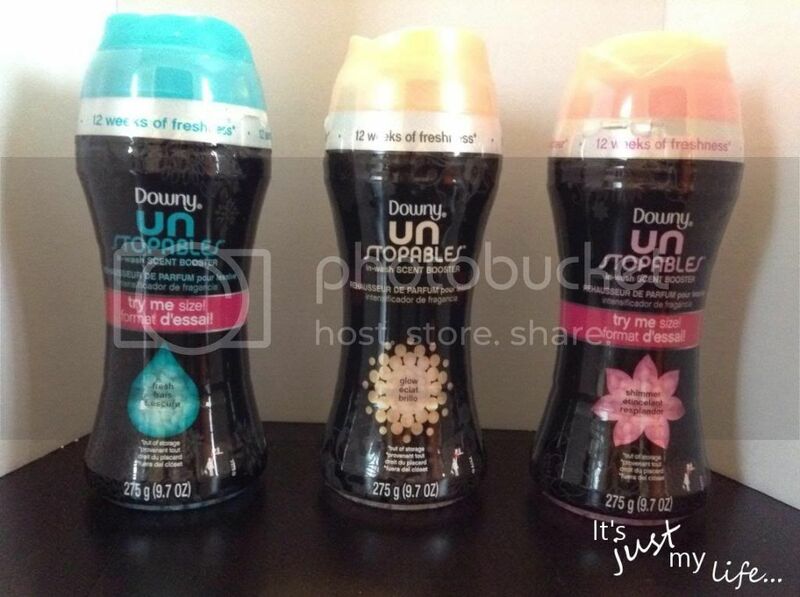 Downy UNSTOPABLES™ Spring In Wash Scent Booster: April fresh scent! 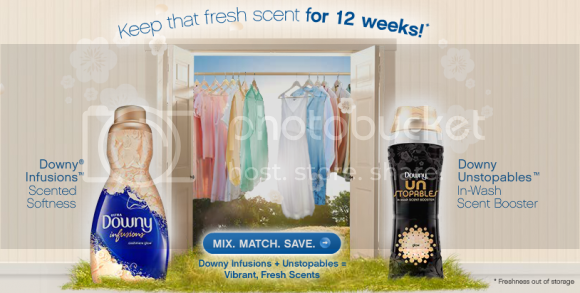 Downy UNSTOPABLES™ Fresh In Wash Scent Booster: Clean breeze freshness. Downy UNSTOPABLES™ Glow In Wash Scent Booster: Sweet floral freshness that just won't quit. Now a little treat for you and your laundry! 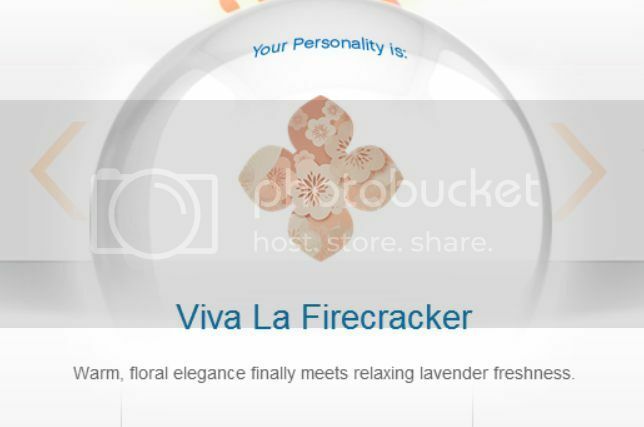 One of It's just my life... Canadian readers will win 3 Downy Infusions and 3 Downy Unstopables (value $60) to create their own scents! Disclosure: I am a P&Gmom. As part of my affiliation with this group I receive products and special access to P&G events and opportunities. The opinions on this blog, as always, remain my own. By entering this contest you are accepting that, if you win, your contact information will be shared with a P&G PR and shipping agency for the purpose of mailing your prize. Please allow 4-6 weeks from the contest closure date to receive your prize. This giveaway may appear on other blogs as part of the #PGmom program. However, to be fair, you can only win once per giveaway. If your name is chosen more than once, another winner will be selected. All winners must be from within Canada excluding Quebec.